SOR offers factory reproduction 60 & 62 Series headliners. 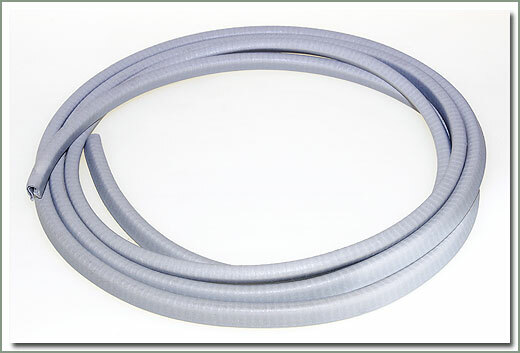 Available in Light Ivory Vinyl (V) or Gray Felt (F) material. 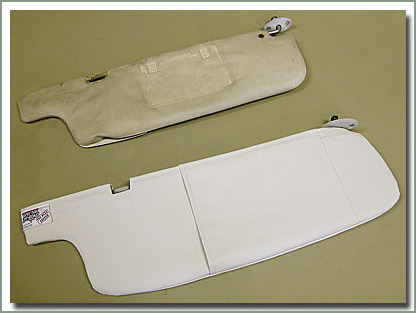 Ivory Vinyl-Fits 8/80-1/90 FJ60 & FJ62. 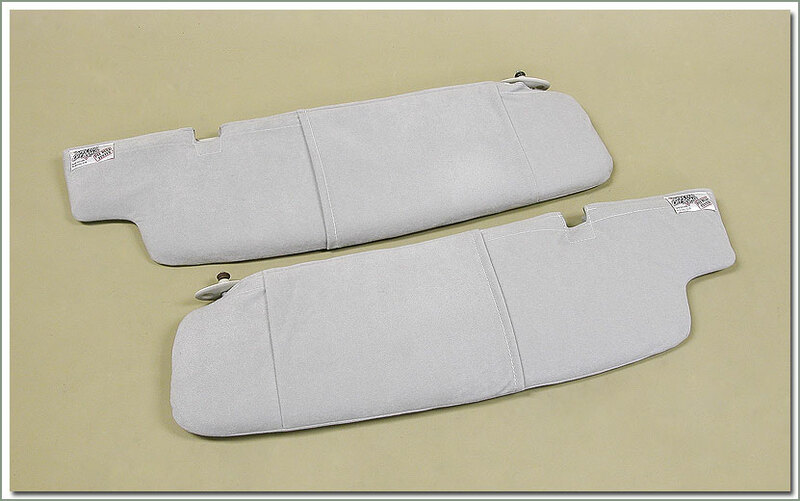 Grey Felt-Fits 8/80-1/90 FJ60 & FJ62. 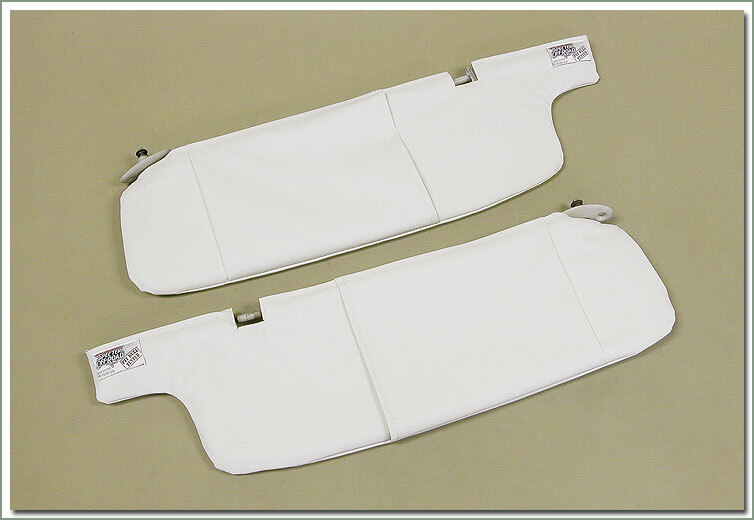 Specter now has Visor Covers for your 60 & 62 Series Wagon. 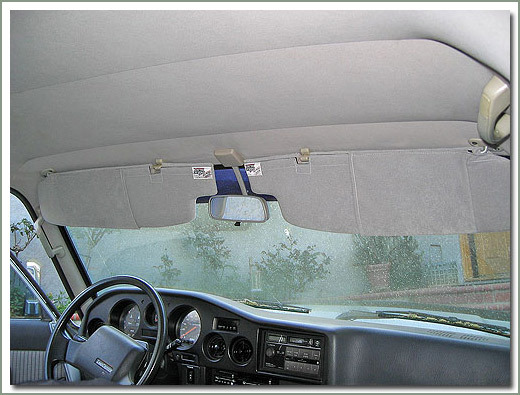 These Visor Covers are designed to go on over your old sun visors. 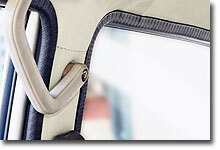 These new Visor Covers will give you a convenient pocket for storage, and also give your visors a fresh clean look. 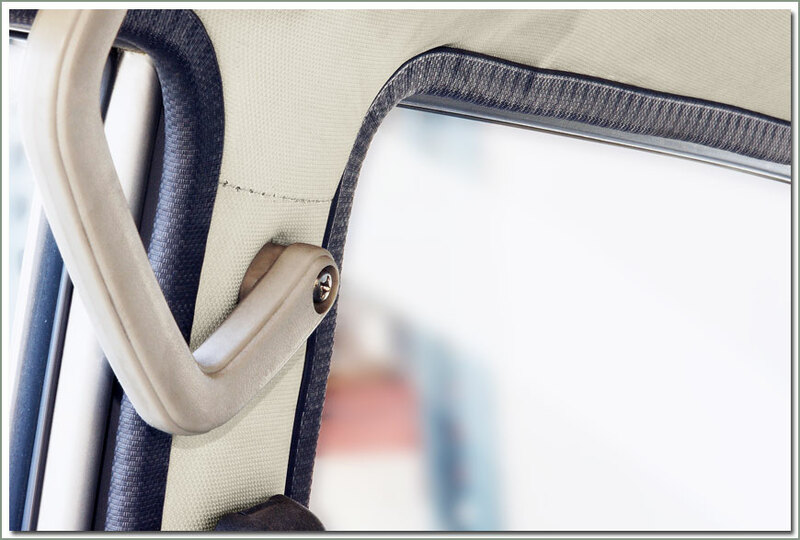 Compared to the price of a new factory sun visor replacement this will give you another alternative if your old visors are stained and dirty. 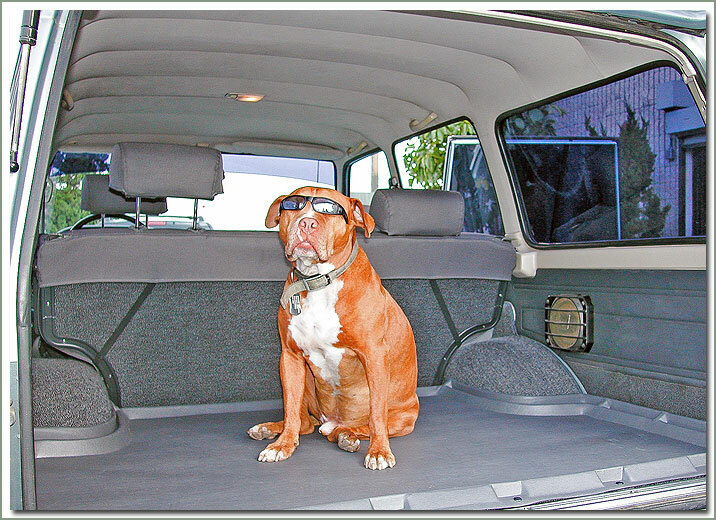 Manufactured by SOR in the same matching headliner material as seen on page 114. Vanity mirror on passenger side is covered. Easy to install. Sold in pairs. FITS 8/80-8/88 60 & 62 Series -Front Driver & Passenger door opening on body. 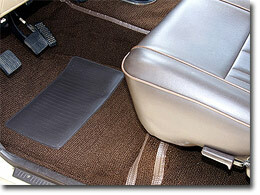 Metal reinforced Brown welting. 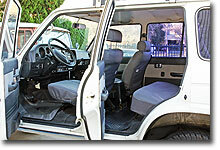 FITS 8/80-1/90 60 & 62 Series -Rear Passenger door opening on body. 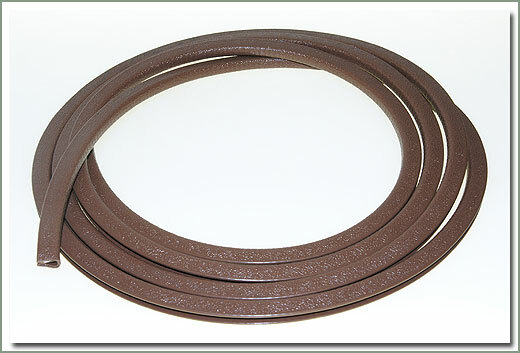 Metal reinforced Brown welting. FITS 8/80-8/88 60 & 62 Series -Front Passenger door opening on body. Metal reinforced Black welting. FITS 8/80-1/90 60 & 62 Series - Rear Passenger door opening on body. 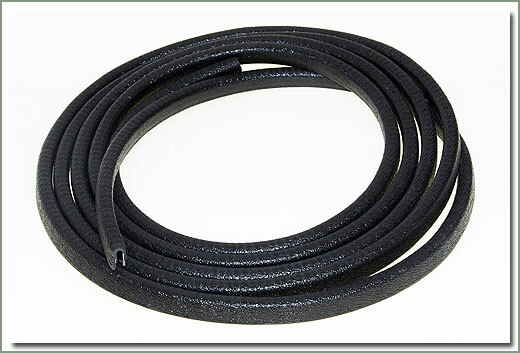 Metal reinforced Black welting. FITS 8/80-8/88 60 & 62 Series - Front Passenger door opening on body. 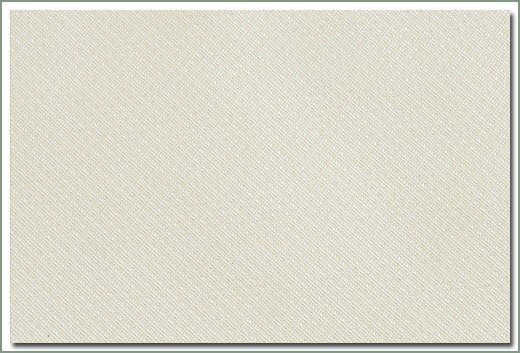 Metal reinforced Gray welting. 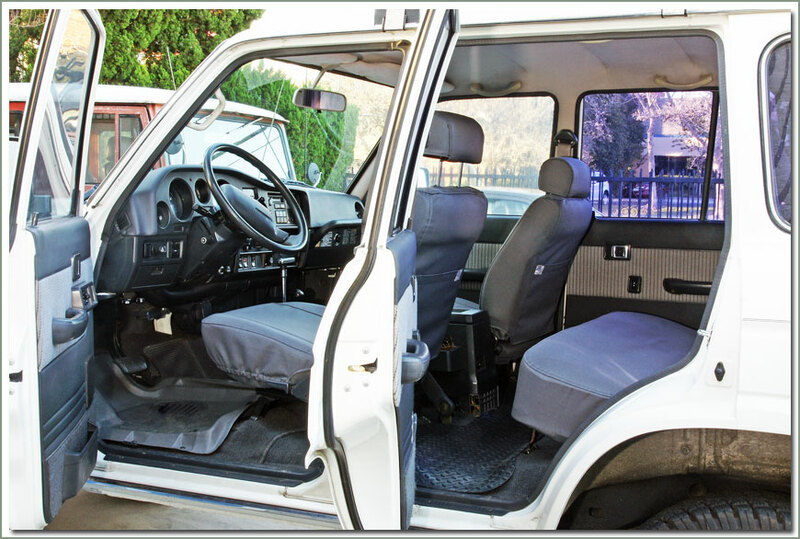 FITS 8/80-1/90 60 & 62 Series - Rear Passenger door opening on body. 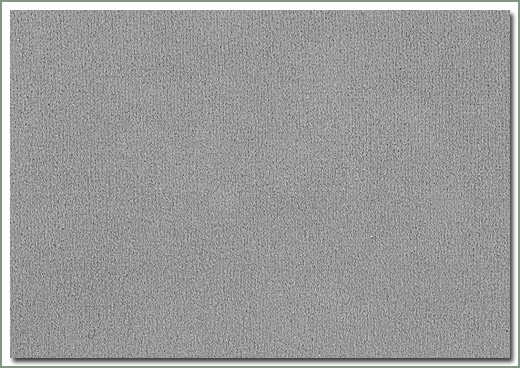 Metal reinforced Gray welting.